So let’s turn a page or two and get to the Description of the Improvements section. We’ll definitely get a mental picture because… er… this section has pictures. So we scan those first to see what we’ve got and to prepare ourselves for reviewing the writeup. Marina buildings tend to follow similar patterns. Quality is less overall because these are properties typically located in flood zones. Offices tend to be on the second floor of one of the buildings unless a former residential home is being used for this purpose. The buildings are usually described simply because that’s what they are. A sketch of the building sizes is probably the most important part of describing the improvements and a reviewer wants to see that they were measured, as proven by the perimeter dimensions of each exterior wall. Most appraisers do this… fortunately; if not, site and/or building plans are reproduced and included in the report. Of course yacht marinas and resort marinas have higher quality buildings. One of the buildings that seldom gets enough attention is the repair building. When there is more than one, they generally serve different purposes yet have a repair synergy. As a reviewer, I like to see a discussion about any synergy. More importantly, what are the repair operations that are performed in each building and are they done by the management or subcontracted? Certainly if subcontracted you’ll want to see the lease in the report along with a discussion. You can’t always trust the marina brochure. Here’s an example. 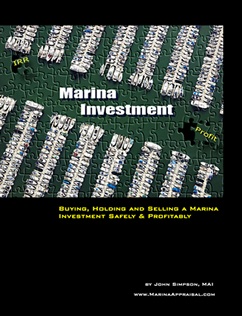 I appraised a marina that had a brochure that claimed it was a full service facility. The reality was that a marina down the street was the full service part of “full service facility”. Management and ownership were once the same. An innocent omission from the brochure? By these I’m referring to buildings that may or may not have some or all utilities and are available for a boater’s use. They could be snack shops, restrooms, showers, laundry, open-air pavilions and others. Are there enough showers and restrooms? Are there locker rooms? The restrooms and showers deserve special attention because if they are not of a high caliber, it has a direct impact on slip marketability. A lack of cleanliness speaks volumes about management’s attitude about the marina. Only a basic description covering these items gets the jobs done. This is where I start to have some fun. Building descriptions are boring, but not dock descriptions (at least for me). 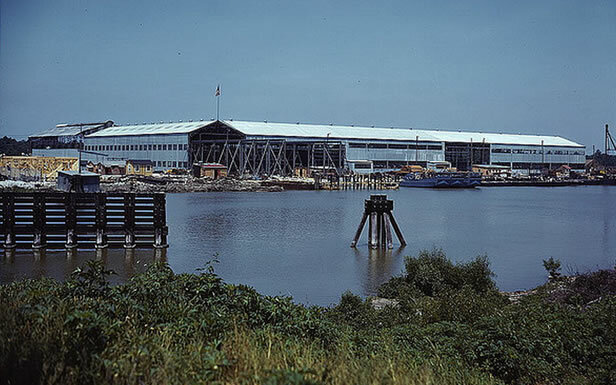 The docks represent a large investment and are the most exposed to the elements. 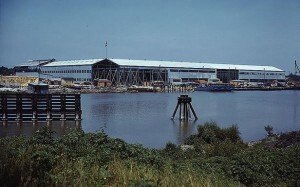 The docks are also the center point of the entire marina and they are the key to bring business into the buildings. 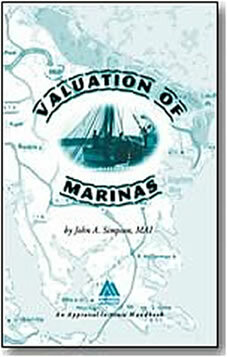 A short writeup means, to me, an inexperienced marina appraiser. They deserve more time in the writeup. Here’s the short-list of what I look for. If floating, what type of flotation system is there? Is there any functional obsolescence in the marina layout and other places? Dockside electricity is very critical. I discuss this at length. Getting a range from the manager is not good enough. Break it down by dock and slip so a reviewer can gauge how material the functional obsolescence is, if any. Are they singles, doubles, triples or quad outlets? Doubles are generally expected – try recharging your batteries and having your air conditioning on a single outlet. Sewer pump-out should be present and operable. I’ve seen managers who have it but it hasn’t worked for years. If you don’t ask if it works, he or she might not tell you (that’s why I like to speak to a boater or two while I tour the docks on my own). Water should be present. What is the ratio of outlets to slips? Is water available to every slip, every second slip, only the pier, etc.? If present, what condition are the bulkheads? How much rot are you seeing at the waterline? Is the lateral pressure of the land so great that bowing is present? What grades of fuel are being sold? How many pumps are there, how many dispensers and how many slips? Does the marina dedicate a person to fueling operations? If so, that says a lot about management (it’s not typical for most marinas). Take a look at the “little” things. Are the piles capped? If so, with what type of material? Are there lights and what caliber are they? What condition are the cleats and what are they made of? Are hoses placed on pedestals in an orderly manner? I could probably go on all day, but after all… this is the short list. The key, again, is to paint an accurate picture in the mind of the reviewer of the quality and condition of the improvements. The reviewer can also get a sense of how well management is doing and how attentive they are to their facility. This also helps with determining the marina’s market position if a competitive survey is presented and this is the best way to determine how much risk there is to the facility. Lastly, since any loan or investment would be long-term, the condition and quality today has a direct bearing on any decision being made, which is, after all, why an appraisal is being done in the first place. Now you have a picture of the type of picture I like to see. It’s no wonder I’m not an art critic. In Part 6, we’ll delve into dreaded marina cost approach.